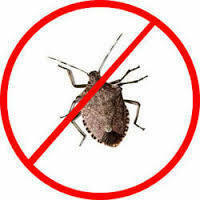 Our company is providing Stink Bug Control Service. We are counted among the most trusted name in between the topmost companies engaged in providing Stink Bug Pest Control Service. This service is rendered by our professionals using high quality material and modern techniques in compliance with various norms. Our client’s can avail this service at market leading rate. Stink bugs are notorious for secreting a smelly odour when disturbed or crushed. Other insects have also been known to have this defense mechanism, such as ants and beetles. Stink bugs are mostly herbivorous, feeding on plant juices with their piercing and sucking mouthparts. Other stink bug species use these mouth parts to drain fluids from caterpillars and other insects. We are providing one of the best Stink Bug Control Services. Our company is providing one of the best class Stink Bug Control Service.